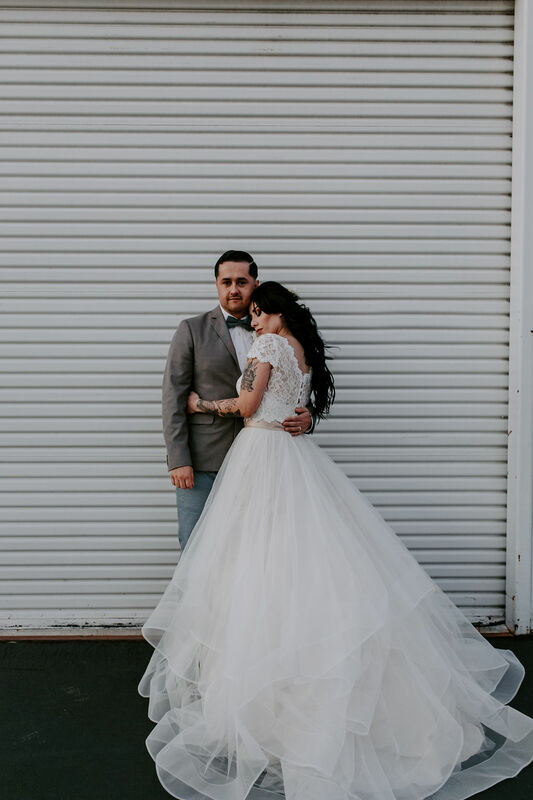 This Carlsbad, California wedding is a little bit whimsy, a little bit rock and roll. 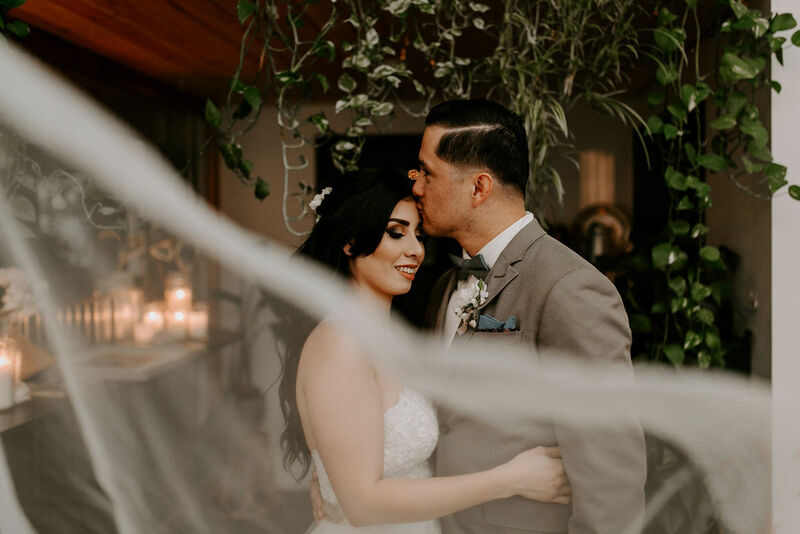 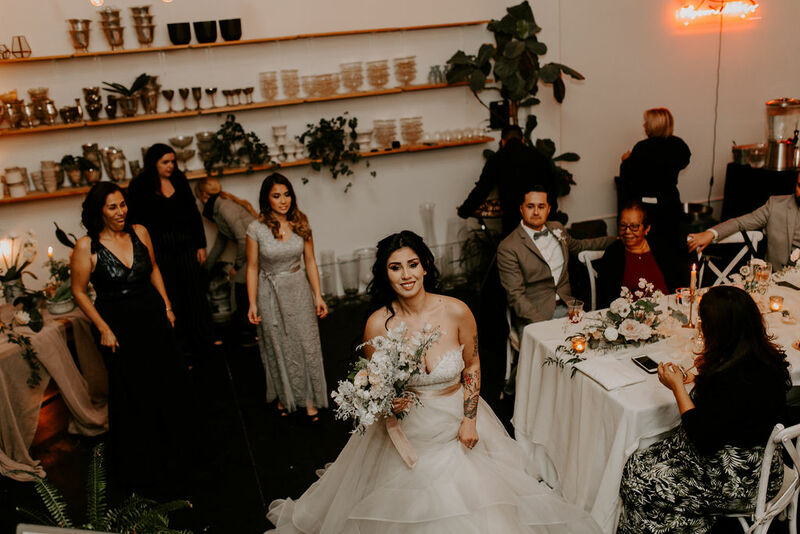 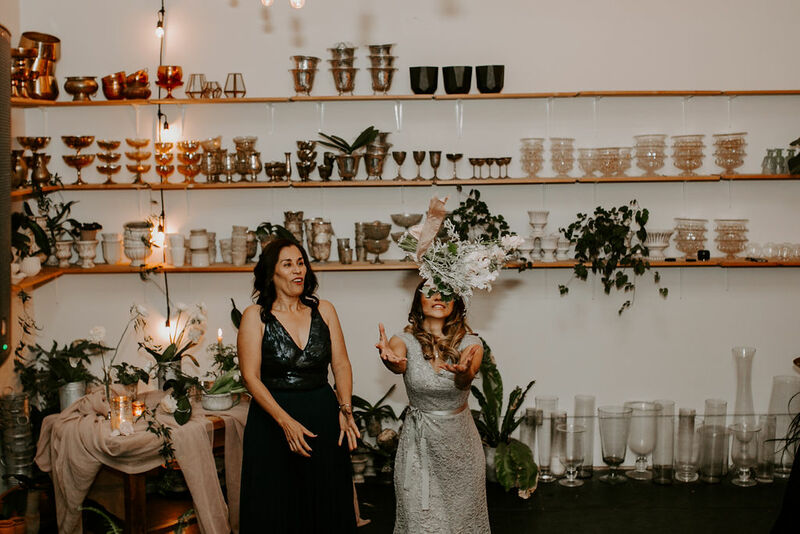 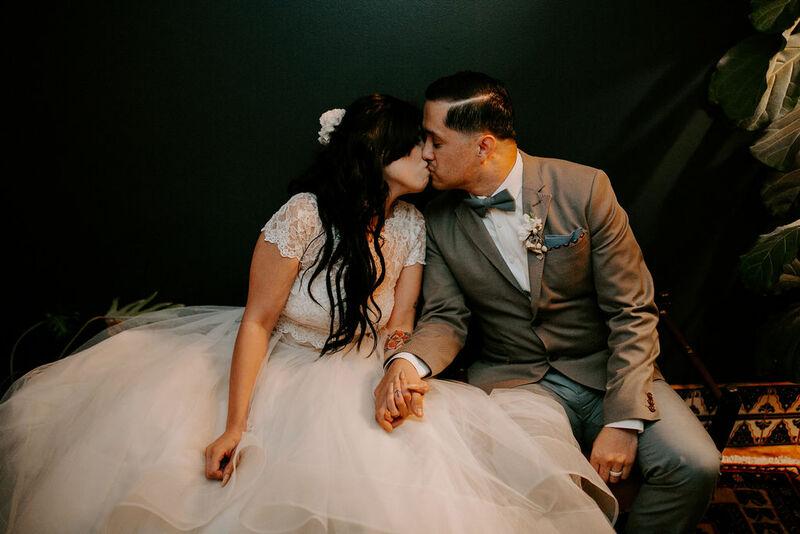 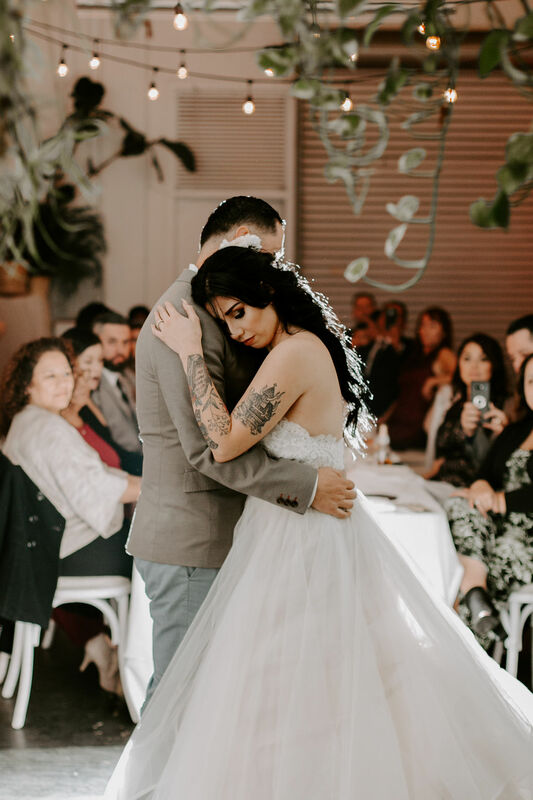 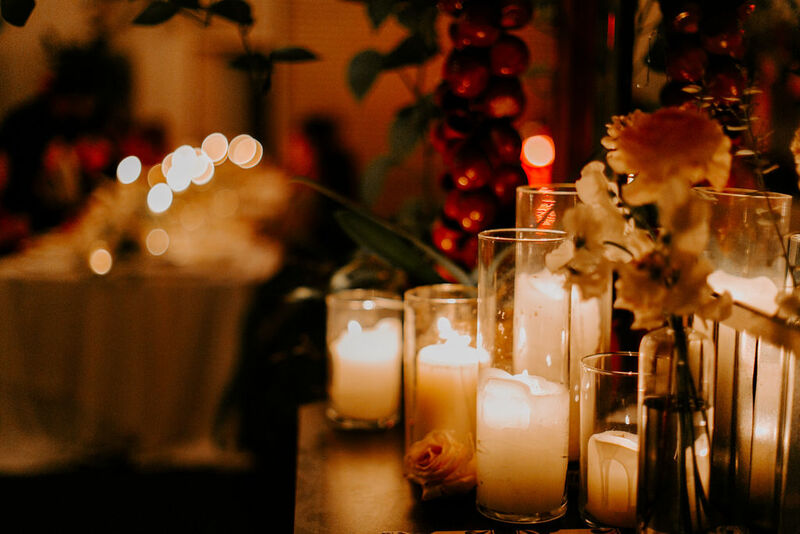 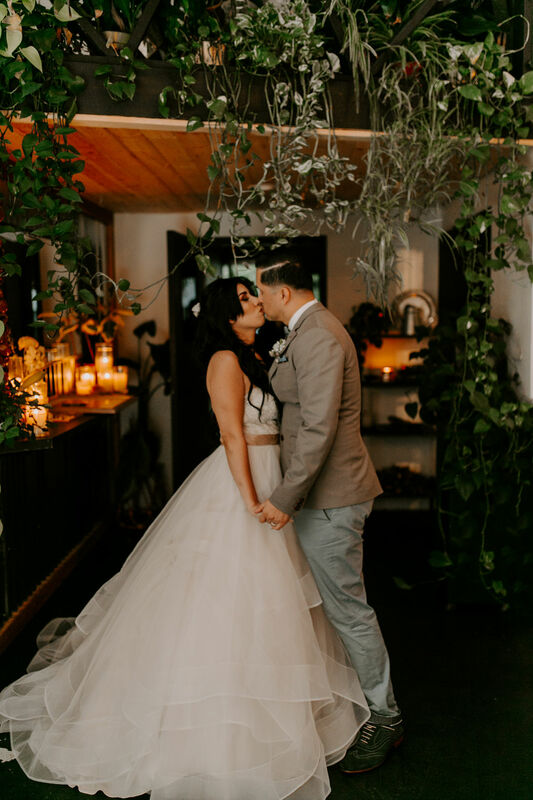 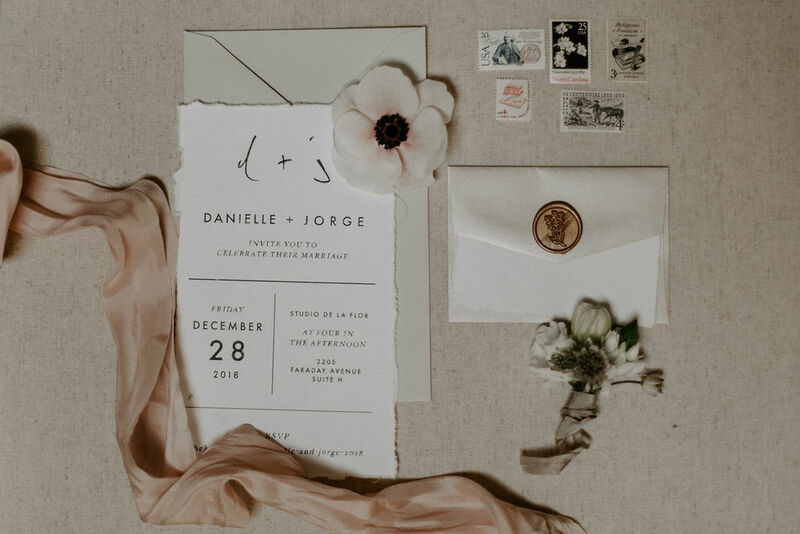 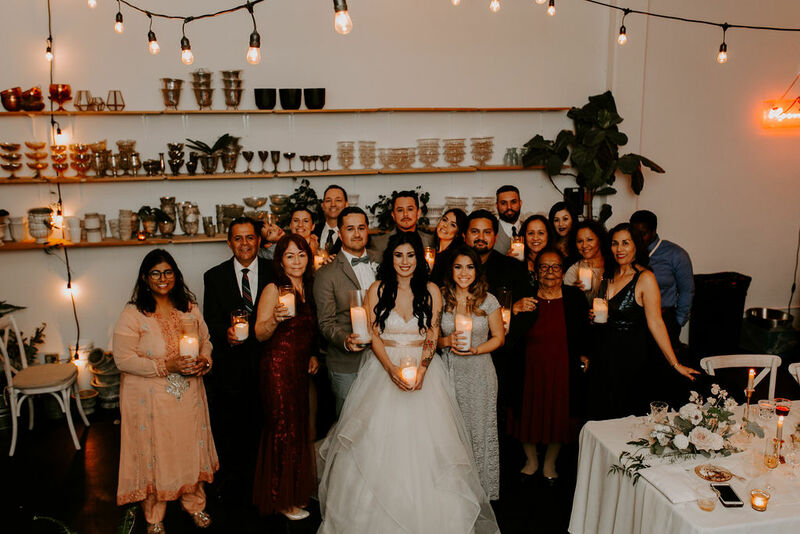 Without a doubt, Danielle and Jorge sought to marry the two styles (yes, pun totally intended) effortlessly and thanks to all-star vendors like Sisti&Co., they did just that and more. 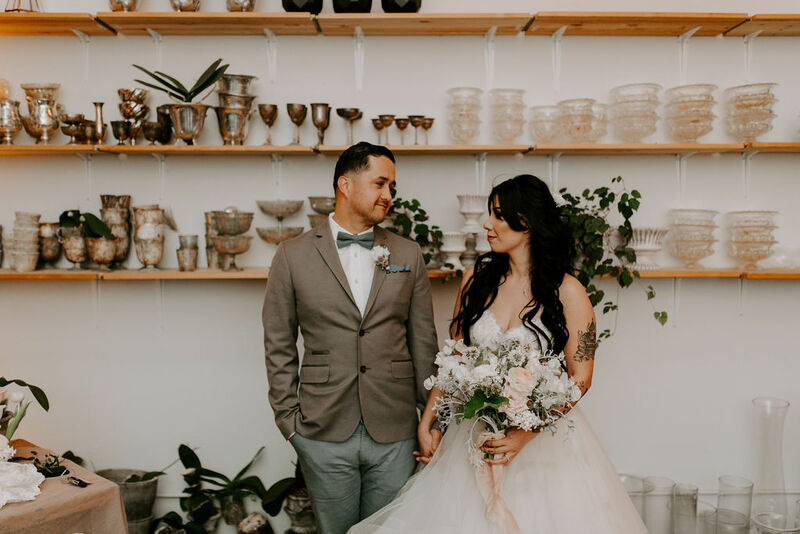 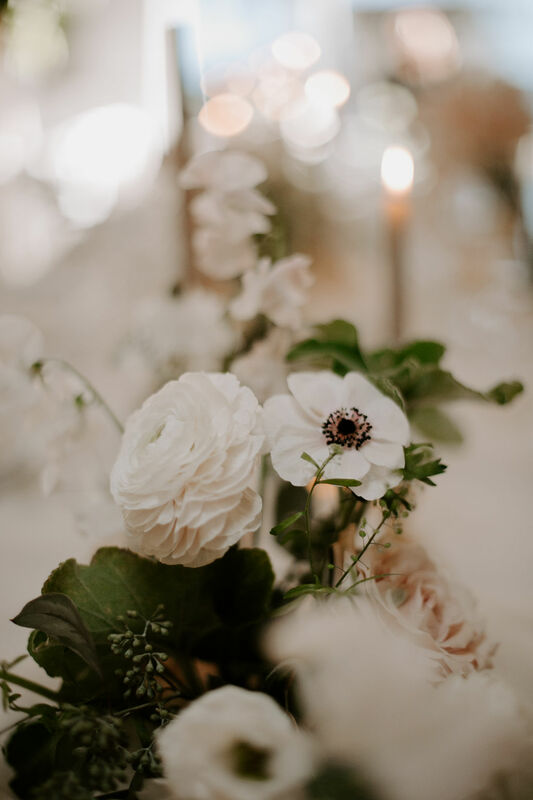 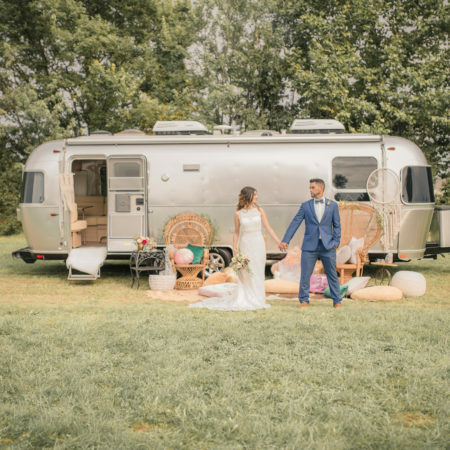 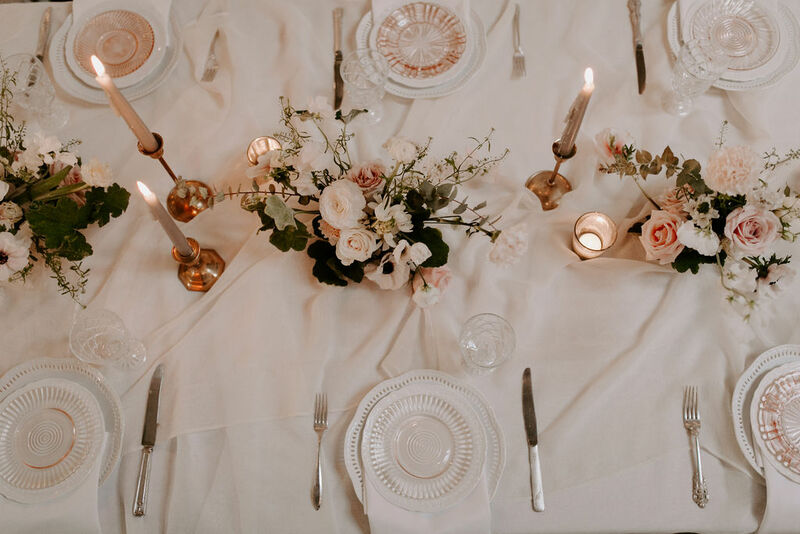 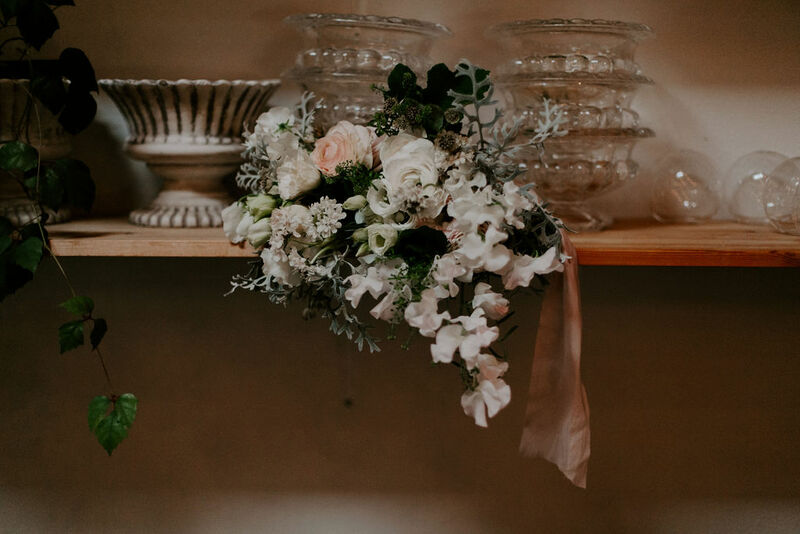 Sara Holt snapped their day away and photographed exactly what Danielle and Jorge wanted their final wedding vision to look like: a fusion of pale pinks and grays, greenery abounding, and a nice dose of cozy vintage. 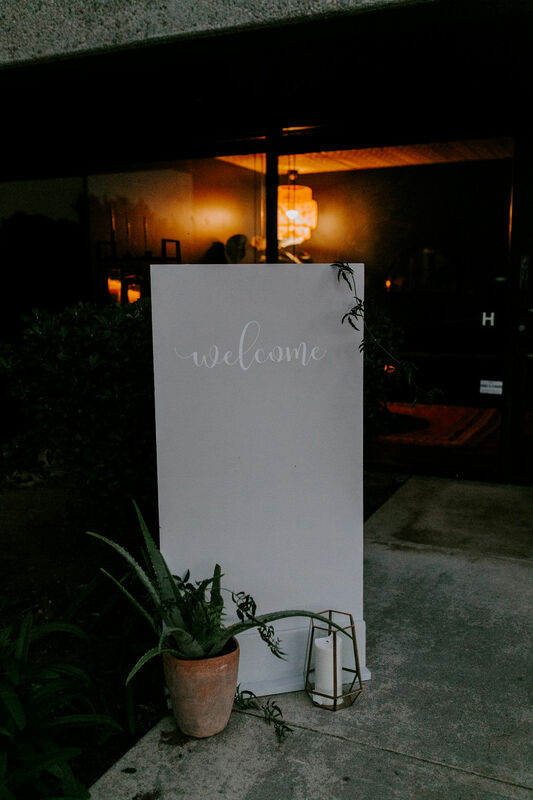 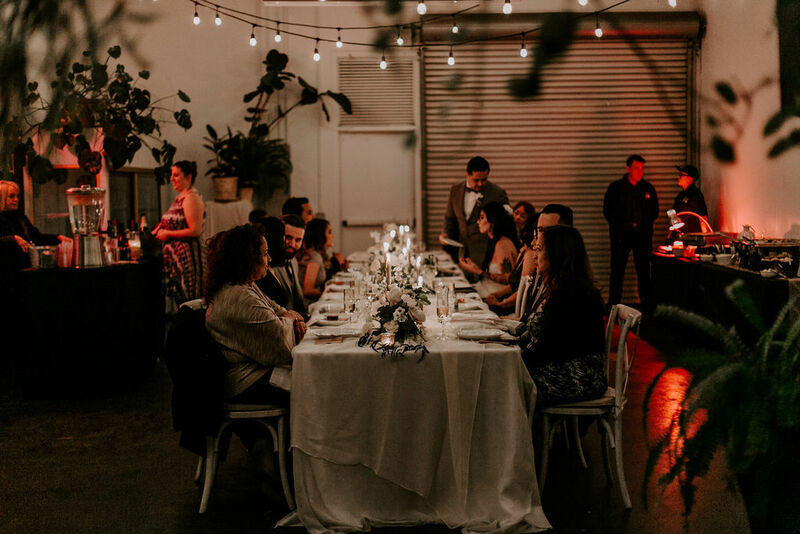 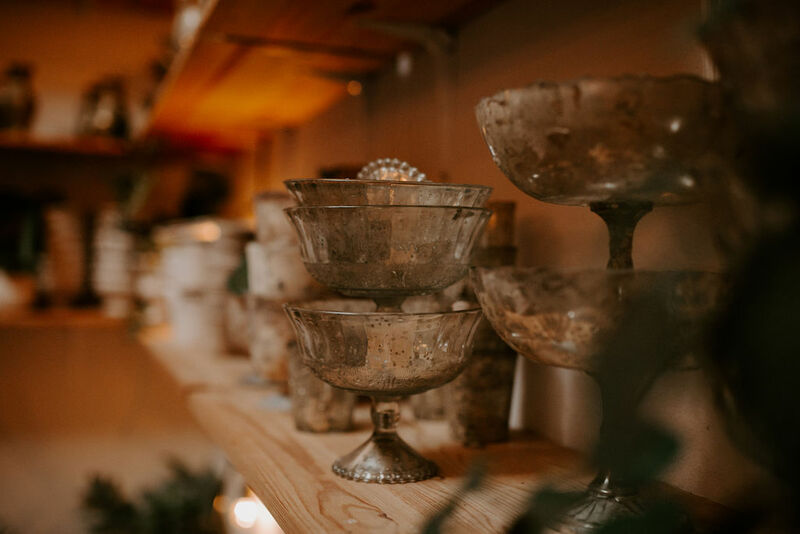 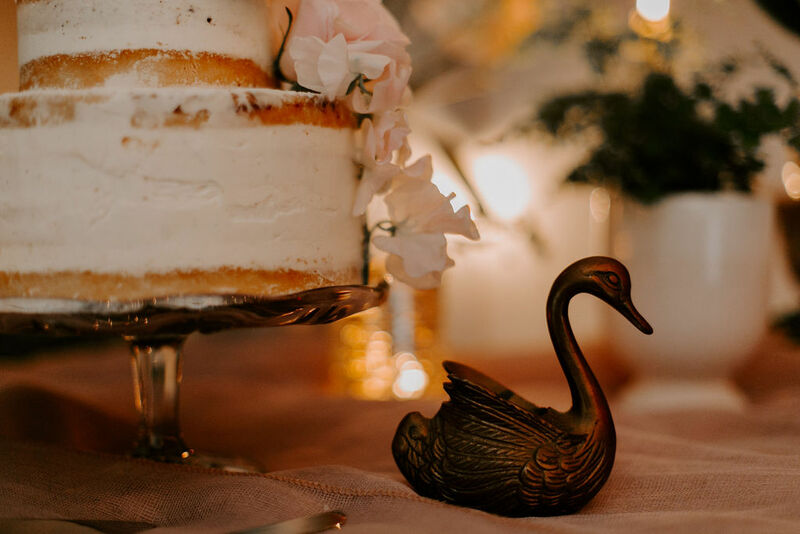 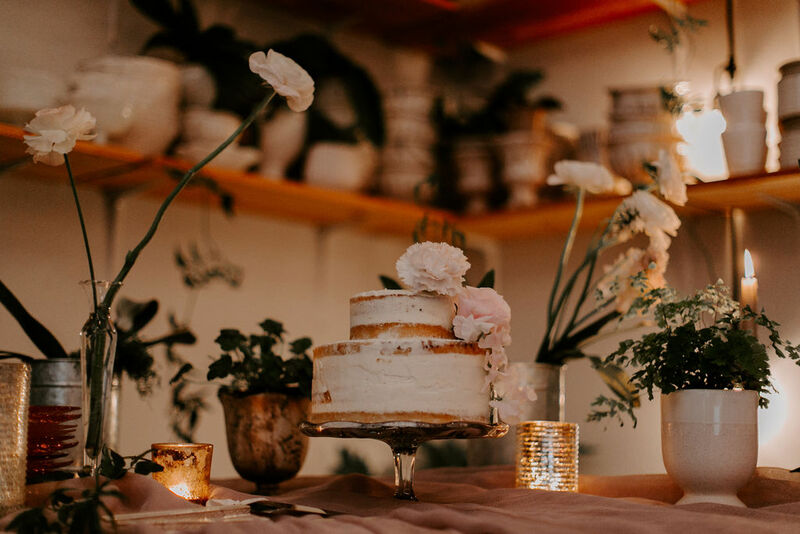 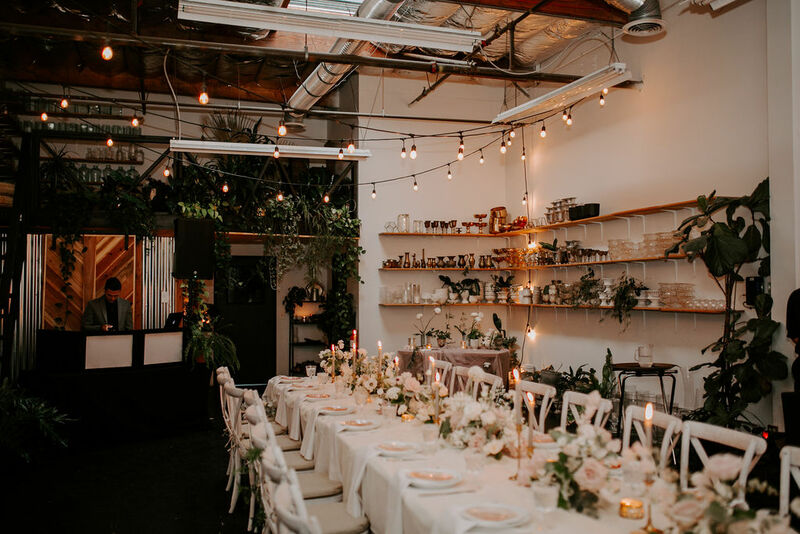 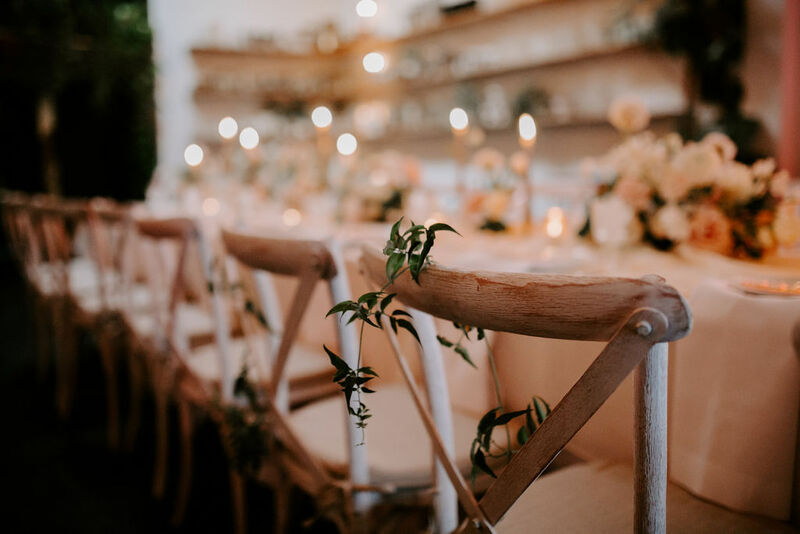 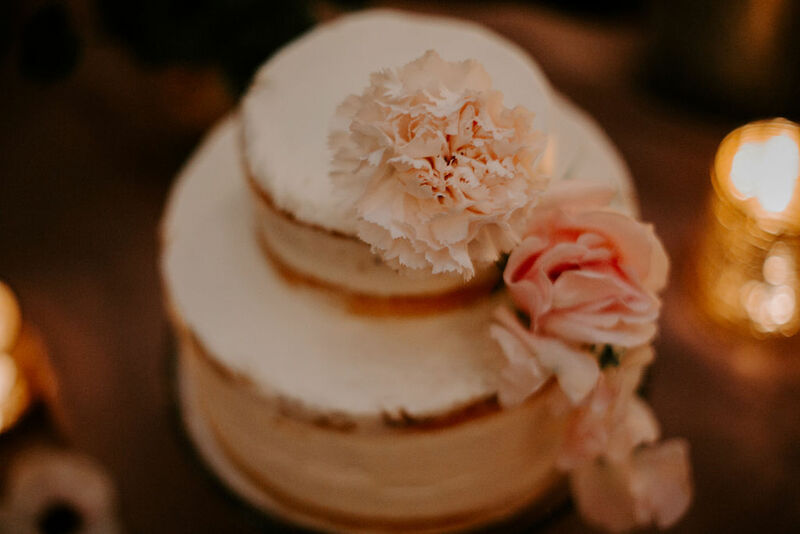 The duo are big fans of vintage and thrifting, so including old-fashioned elements like the antique cake stand and the stacked time-weathered dishes lining the walls at their reception were awesome touches. 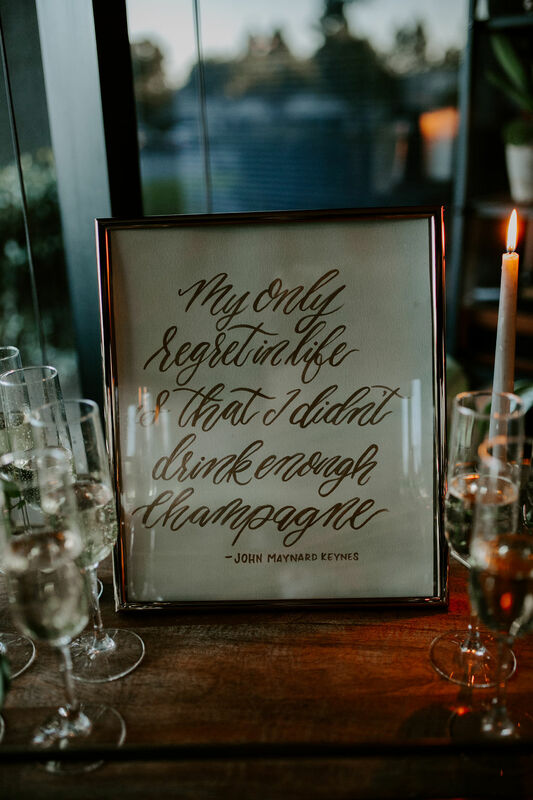 This wedding is sheer bliss, without a doubt. 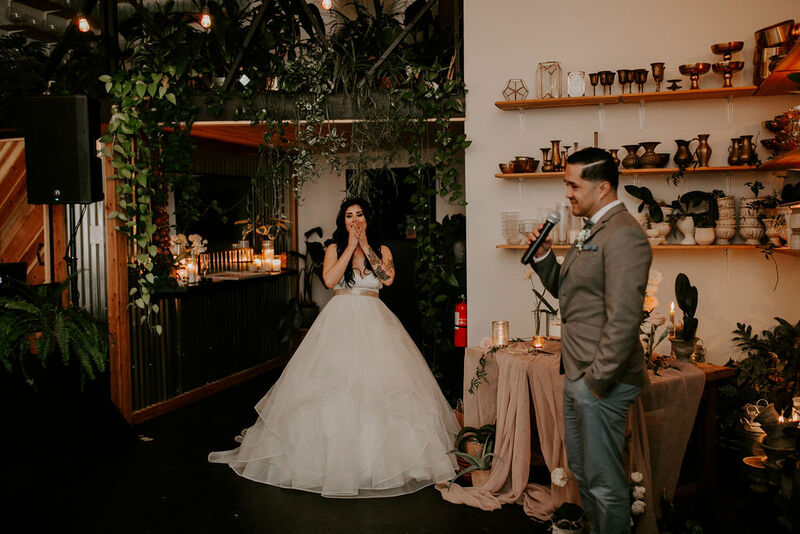 Jorge used to work in Coronado, and I happened to be there for a meeting when I was working for medical spa. 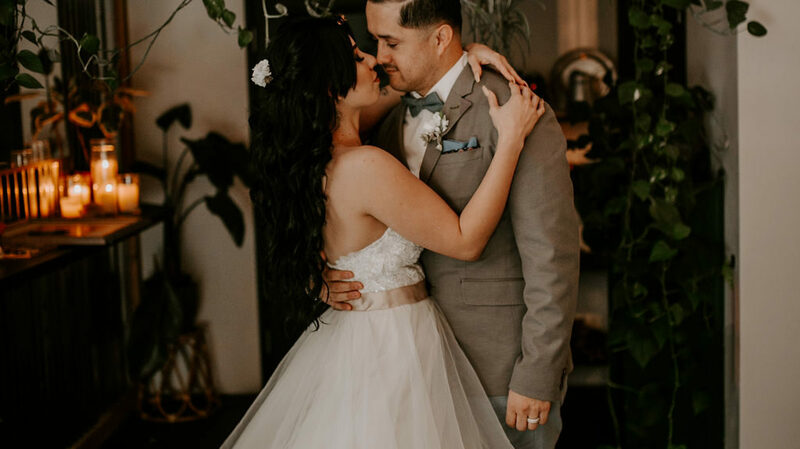 We pretty much bumped in to each other at a Starbucks during our lunch break, but it was love at first sight. 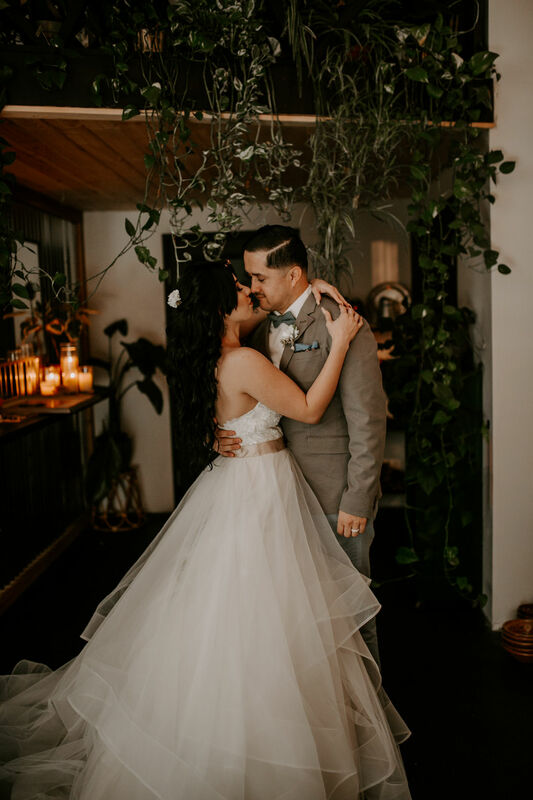 The moment we looked in to each other’s eyes, we were smitten! 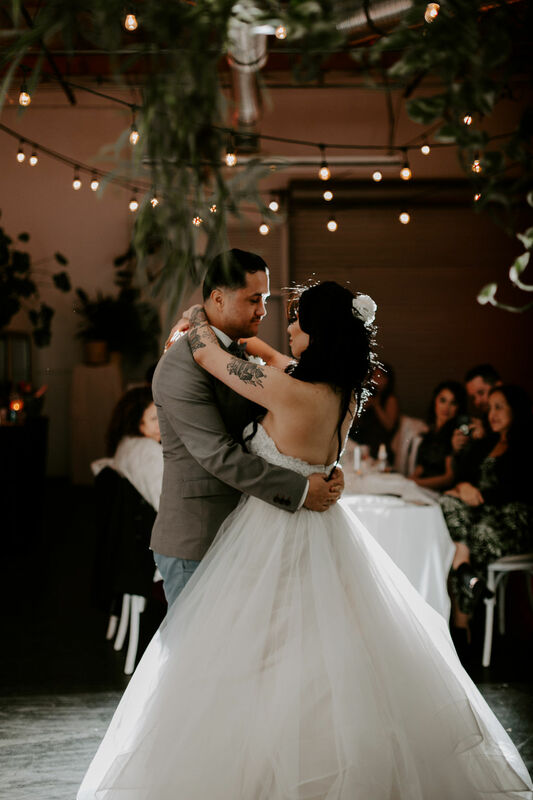 He saved my number and instantly asked to see me again the next day. 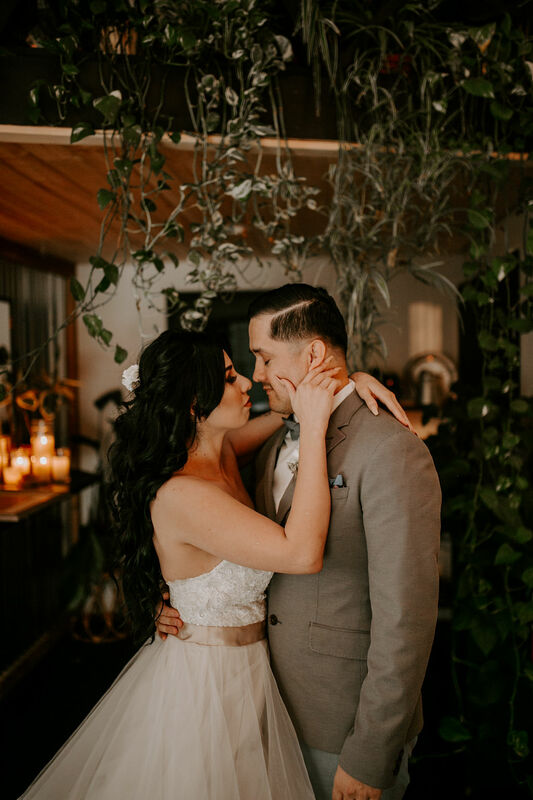 Every day after that, he drove 45 minutes to visit me in North Country during his lunch breaks. 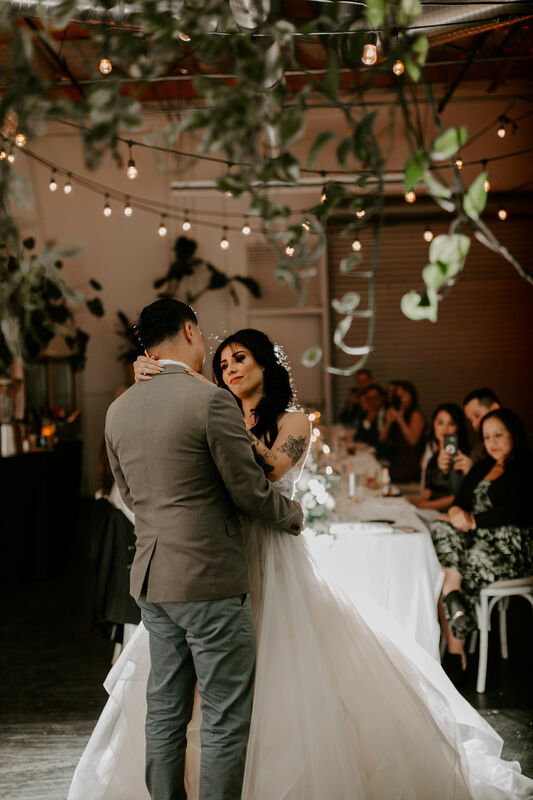 We both knew we wanted to get married less than two months after first seeing each other. 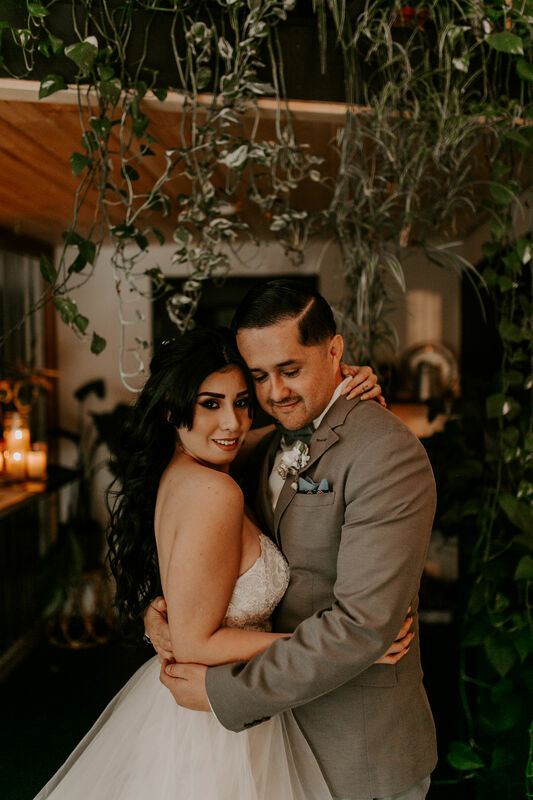 We quickly moved in together and a couple of months later, Jorge took me on the longest hike of my life! 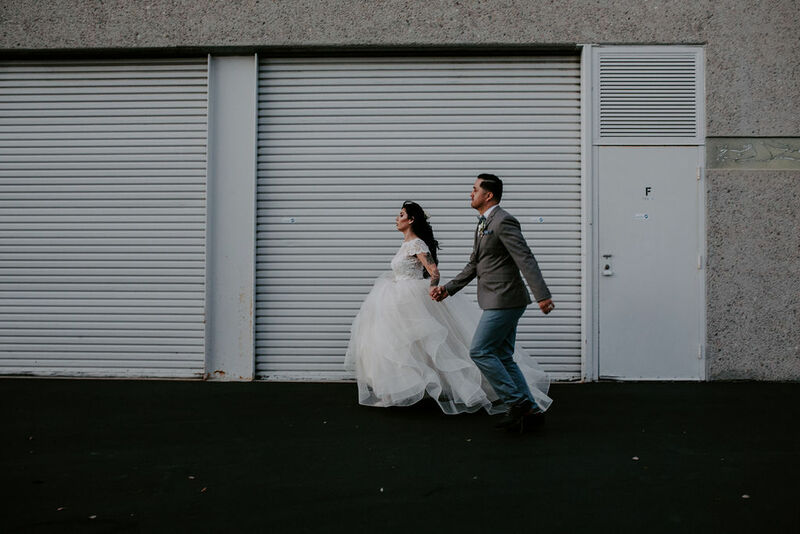 On our way back to the car from Cedar Creek Falls, Jorge stops me from walking, and looked a little nervous. 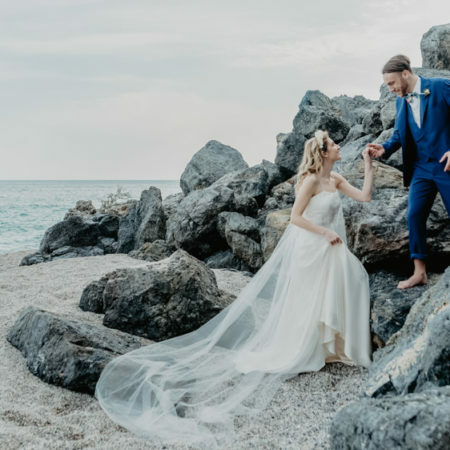 The next thing I remember is he looked like he was shaking or nervous, but he got on his knee, and pulled out a beautiful moonstone ring, and asked me to spend the rest of his life with him. 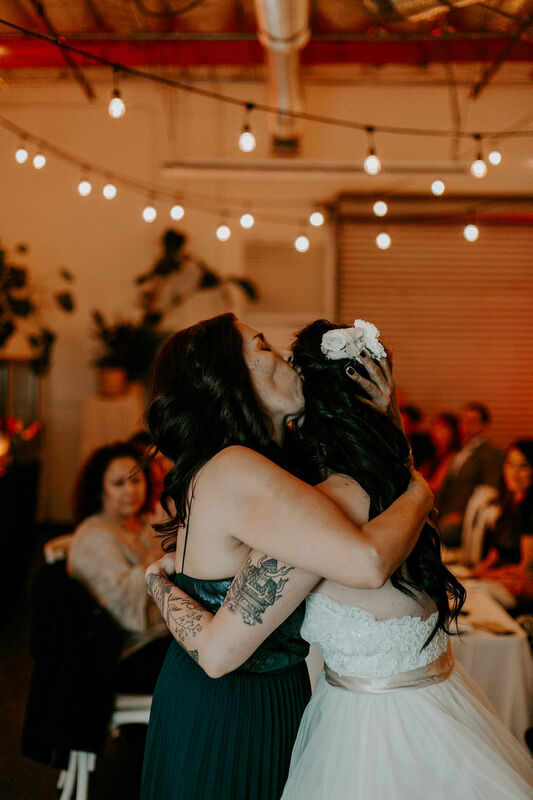 Of course I said yes to my best friend! 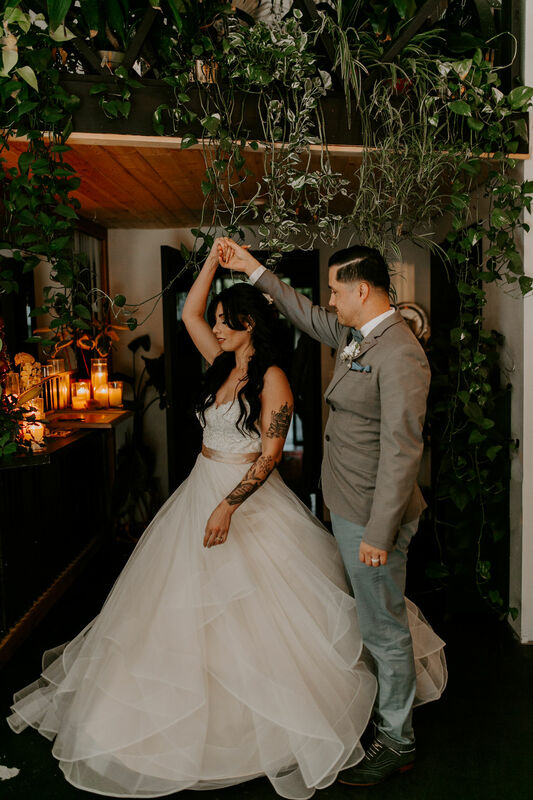 Tell us a little a bit about your wedding style. 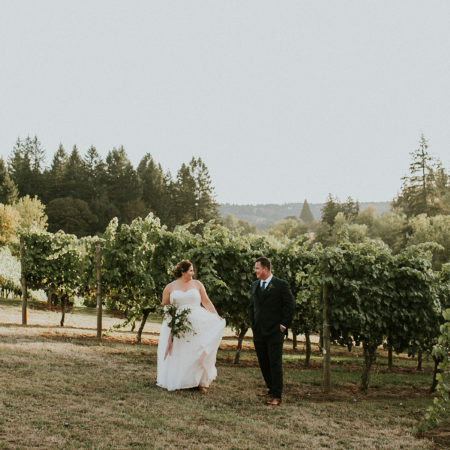 I had such a hard time deciding what my “style” was thankfully I had an incredibly talented coordinator! 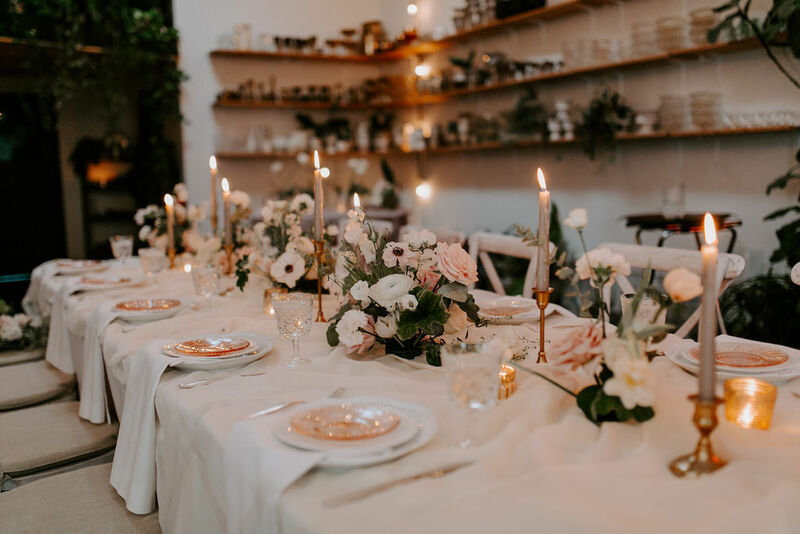 I know I love pale pinks and grays, I love plants, and I love cozy spaces. 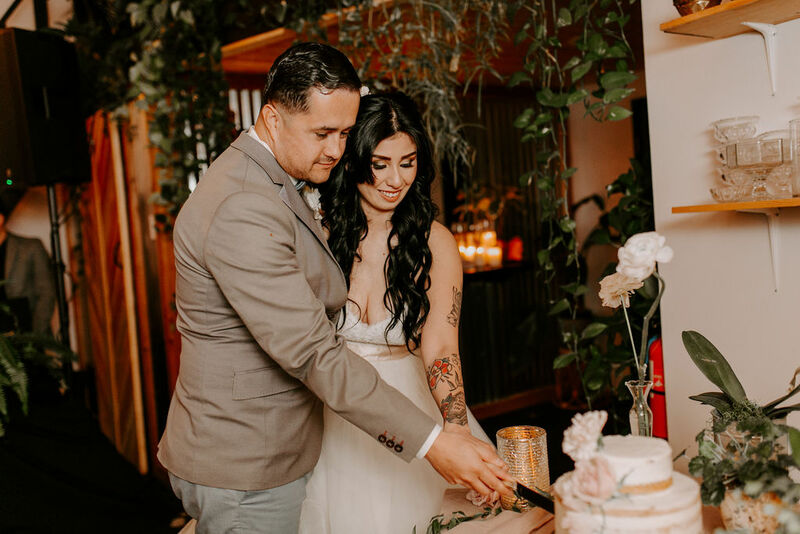 Jorge and I are big fans of vintage, thrifting, and we think of ourselves as a modern day love story, so I really wanted our wedding to have those details. 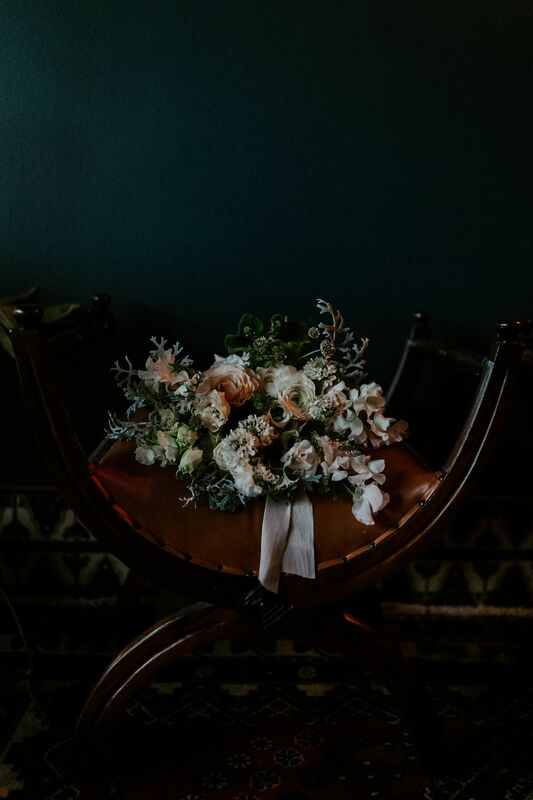 Don’t be afraid to ask for help, and choose the things that make your heart feel warm.